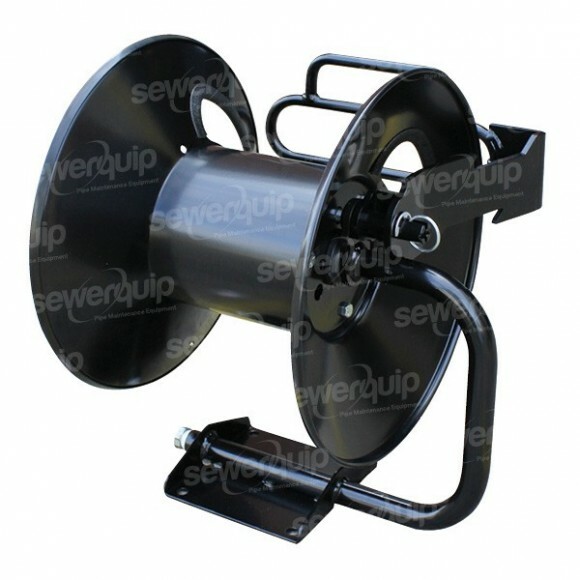 USA made hose reel with hose guide. Ideal for Jetting hose and water feed hose. Fitted with 5000psi rated leak free swivel. Suits all Sewerjett Viper & Mako Jetters. SJHR100B 60m x 1/4", 55m x 3/8"
SJHR200B 120m x 1/4", 120m x 3/8"